Etymology: Named for John Day of Tottenham, an orchid grower and painter. Fowlie (1983) defines two groups of Paph. dayanum, a large low-elevation race (~500 m) and a smaller high-elevation race (~900 m). 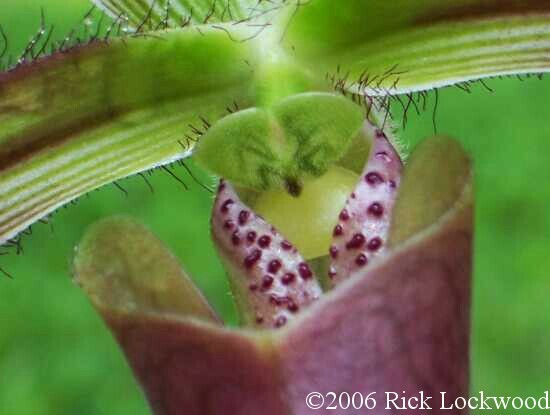 The low elevation race is described as having, "huge, six-inch diameter flowers with faded petals but vivid green leaves with dark checkerboard markings, reminiscent of Paphiopedilum lawrenceanum var. coloratum." The high elevation race is described as having, "four-inch diameter flowers, the petals and pouch of which are suffused deep pink and the leaves are darker green with more irregular dark mottling. This high elevation race has two distinct ecotype leaved patterns, one bright green and one gray-green." Paph. dayanum sometimes naturally hybridizes with Paph. javanicum var. virens. Rolfe in 1896 proposed that Paph. burbidgei and Paph. petri both represented examples of this natural hybrid. 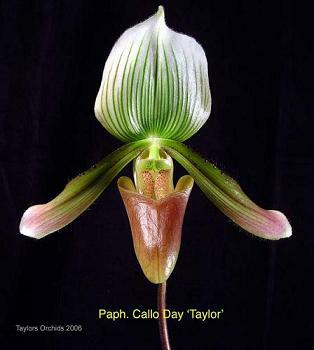 Cribb (1998) agrees that the type of Paph. 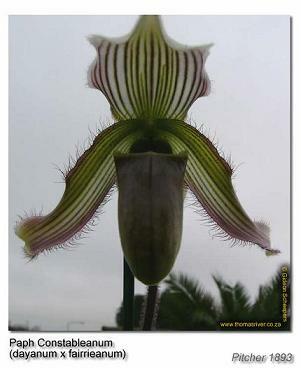 burbidgei is the natural hybrid, whereas that of Paph. 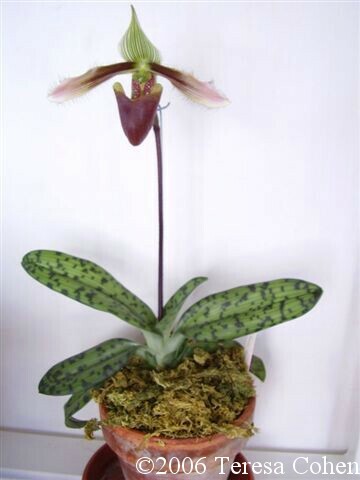 petri is conspecific with Paph. dayanum. Fowlie, J.A. "Malaya Revisited XXIV, Paphiopedilum dayanum and Paphiopedilum rothschildianum on Serpentine Cliffs on Mount Kinabalu, Eastern Malaysia (Formerly North Borneo)." Orchid Digest 47, no. 5 (Sep/Oct 1983): 175-82. Fowlie, J.A. 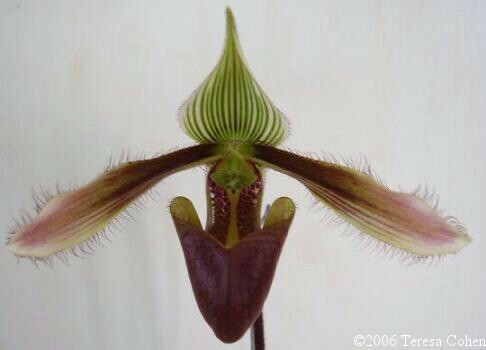 "Malaya Revisited XXVI, Notes on the Habitat of Paphiopedilum petri and Paphiopedilum burbidgei." Orchid Digest 48, no. 5 (Sep/Oct 1984): 168-76. Fowlie, J.A. 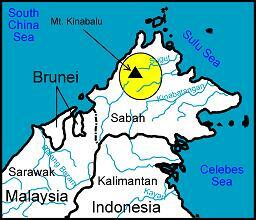 "Malaya Revisited XXIX, Rediscovering the Habitat of Paphiopedilum dayanum on Serpentine Cliffs on Mount Kinabalu in Eastern Malaysia (Formerly North Borneo)." Orchid Digest 49, no. 4 (Jul/Aug 1985): 124-29.